Hi, my name is Robin and I will give you an explanation about how we can be sunsmart at Glenbrae. First to keep sunsmart you need to wear a sunhat. A sunhat has wide brim to keep you safe on your neck from the sun. Sunhats are also known as Harvest hat or Field hat. Sunhats are designed to shade the face and shoulders with the wide brimmed edge. The brim of the sunhats are normally 4 to 7 inches wide. Sunscreen protects the rest of your body that is not covered by a sunhat. Sunscreen is also called suntan lotion, sun cream, block-out and sunblock. It helps protect your skin against sunburn and cancer. Sunscreen is normally put on your body exposed to the sun. There are some sunscreen to put on your skin after you get sunburnt. When you get sunburnt, you may get cancer. 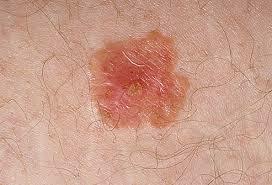 The types of cancer you can get are melanoma and photodermatitis. Cancer can stay in your skin for ever. It will make your skin look ugly. You can also die of cancer if it gets to worse.